The Clinical Pilates courses are aimed to use at early rehabilitation for spinal stability, learning control, dissociation, and releasing of unnecessary global tension. Small apparatus is introduced to add assistance to motion and/or control, provide resistance for strengthening and challenge stability (developing synergy between the local and global muscular system, once control is established). An emphasis is placed on developing cueing strategies to effectively describe new movement patterns, including the use of imagery and touch. The course runs over 2 days. This is the first course and the basis for the others (level 2, women’s health…). 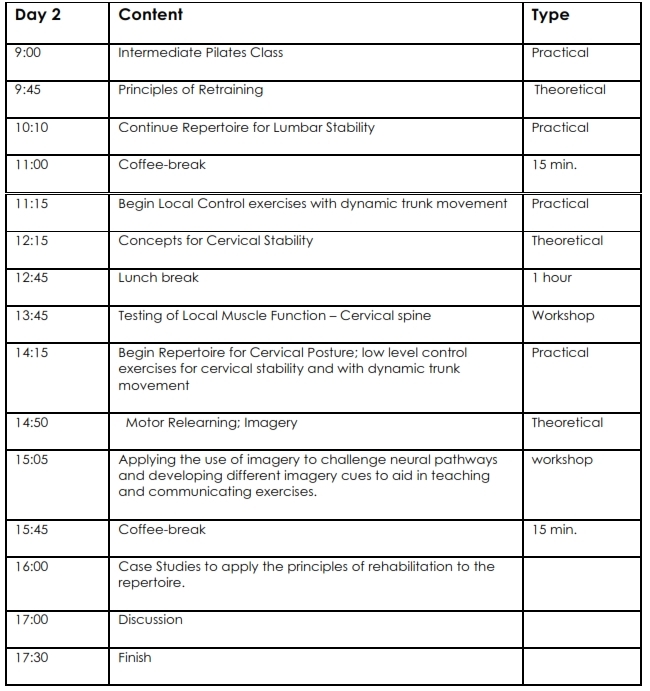 Theory and research on lumbar and pelvic stabilisation is presented. Clinical assessment of the TrA, multifidus and deep neck flexors muscles is taught. This first level is designed for rehabilitation setting. Based on the most up to date evidence in spinal stability, pelvic stability, strength/conditioning and pain – this is the essential Pilates training tool for physiotherapy professionals. This course introduces Pilates technique, relevant research and beginner level exercises. Some of the original Pilates exercises were broken down into a step-by-step guide from day one pain right through to a sports level. Most importantly, every stage has a clinical reason behind why you should choose that exercise for your client. 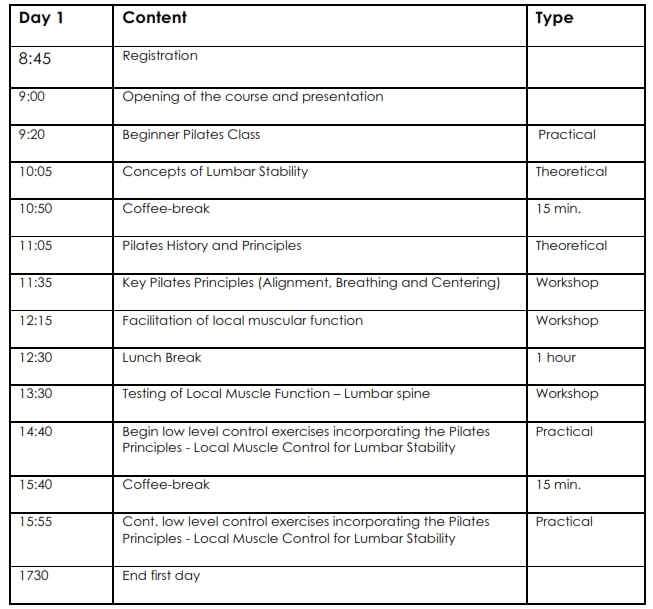 – Pilates programme based on pain, pathology and function. – Evidence behind this popular exercise method. – Clinical reasoning trough exercises and its incorporation into practice. Doelgroep van de cursus : Kinesitherapeuten, sportkinesitherapeuten, manueel therapeuten. Ana Rita Cruz deed haar opleiding als kinesitherapeut in Vale do Sousa (Portugal) en behaalde haar masterdiploma aan de universiteit van Setubal (Portugal). Nadien volgde ze een specialisatieopleiding ‘Orthopaedic Manual Therapy’ aan Curtin University (Australië). Zij is bovendien een geaccrediteerde Clinical Pilates trainer (Balance & Control Pilates Education – Australië). 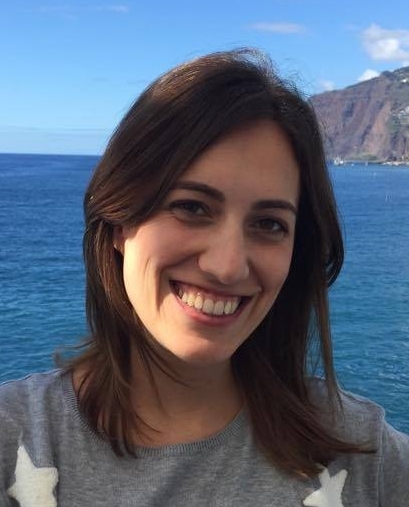 Naast haar lesopdrachten in de diverse Europese landen is Ana Rita hoofd van ‘Instituto Português de Pilates Clínico’ en heeft ze samen met haar echtgenoot Fransesco Neto (Mulligan docent) een praktijk voor Manuele Therapie en Clinical Pilates. 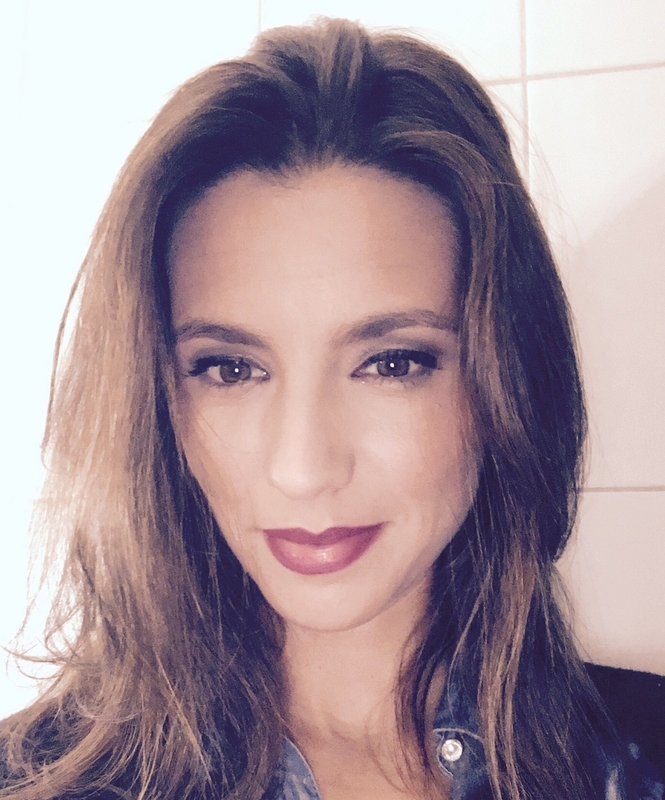 Cristina Vilas Boas is kinesitherapeut (Instituto Superior de Saúde do Alto Ave) en is tevens ‘certified Clinical Pilates Practitioner’ aan het Instituto Português de Pilates Clínico in Portugal. Ze deed tevens aanvullende studies in ‘Women’s Health Physiotherapy’, ‘Therapeutic Exercise’ en manuele therapie. 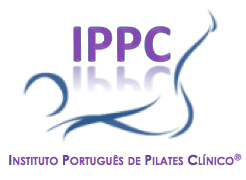 Ze werkt in een privepraktijk en is actief als Clinical Pilates-docente aan het ‘Instituto Português de Pilates Clínico’ (Portugal). 15 available	 pilates - 10-11okt19 €490,00 50€ (excl btw) cateringkosten inbegrepen in vermeld bedrag.